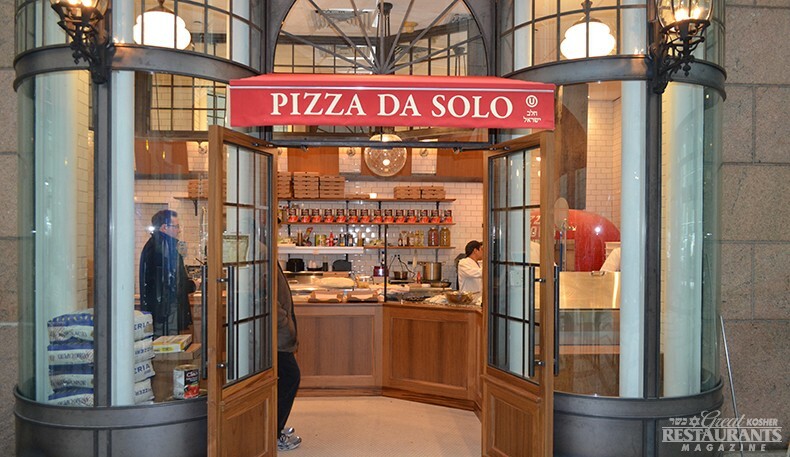 As many of you saw on our Facebook page last week, we took a visit to the new Neapolitan-style kosher pizza store in the Sony Building and the lines were long but the pizza was tasty. 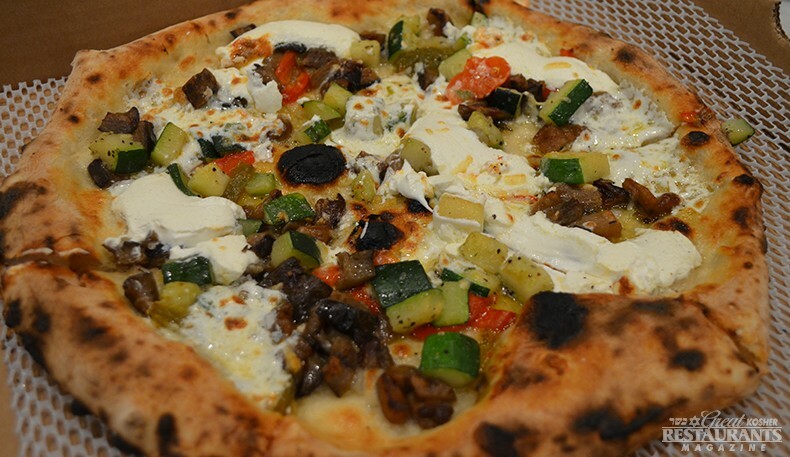 A short 7-8 minute wait was well worth it for this authentic, thin and crispy pizza. The calzone was also a huge favorite of ours. Click here for their pizza and saladmenu and click here for photos of the store and pizza. It seems that this story has taken a life of its own since Jezebel changed their hashagacha and name. It was picked up by all the Jewish media outlets as well as the mainstream, including The Daily News. The story seemed to focus on the debate of whether the OU "forced" or "ordered" (as the Daily News headline put it) the name change. Then I saw there were discussions on whether a supervision should have the right to tell a restaurant what to name themselves. I will let the latter subject be something people can talk about it. I just spoke to Rabbi Elefant from the OU and he is very happy with the way things are going and has a very good relationship with the owners. So enough drama and let's eat some food! As we first reported last week on Facebook - and you guys really need to "like" our Facebook page :) - the restaurant has a new website and Facebook page to show off their new name. Check it out! 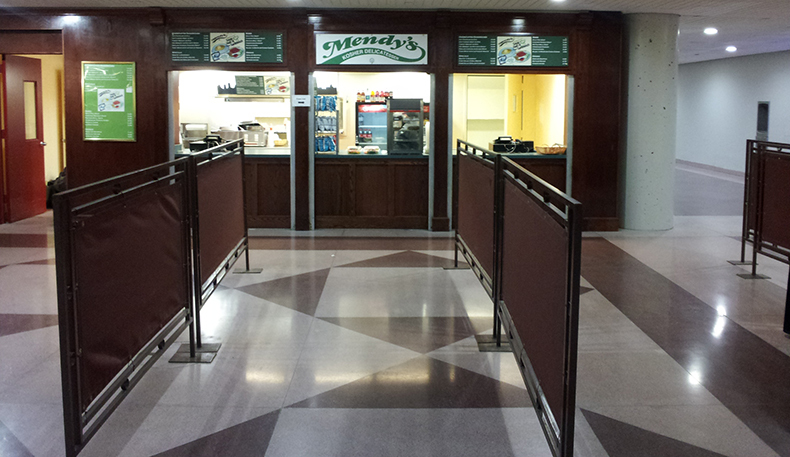 this week and we just want to show you the Mendy's Pavilion in the lower level dining concourse. They are open for all major shows taking place at the Javitz. and so we had to go see it. 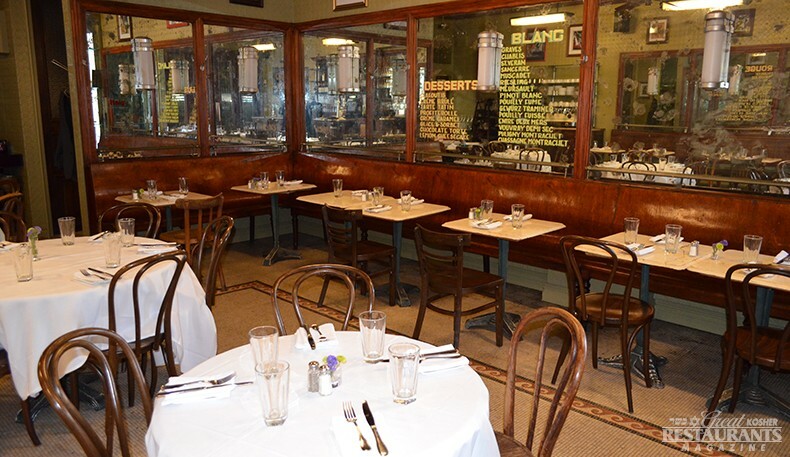 Sonia and Dan Halimi, are the owners of this classic bistro that could be mistaken for a restaurant in Paris, with wood wall panels and stained glass mirrors and of course Chagall paintings which set the decor. 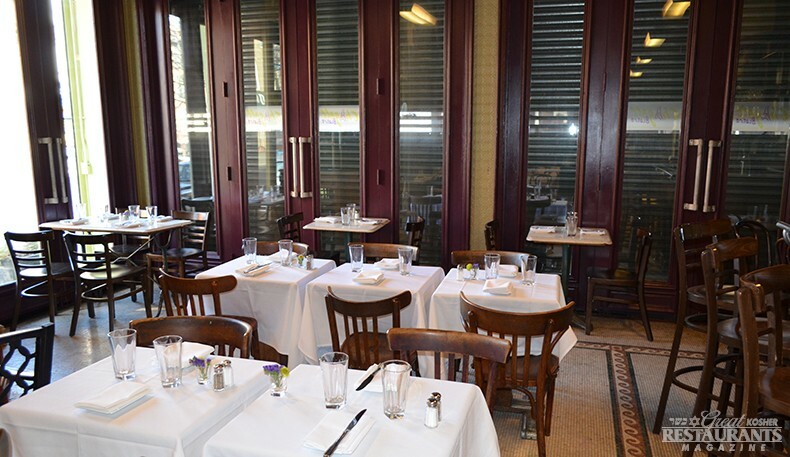 The Halimis arrived in the U.S. last year from Paris and opened up this restaurant, which was non-kosher. But it was only 2 weeks ago that they decided that they would like to actually eat the food they serve and turned it into a kosher restaurant under the OK Supervision. The success of nearby Pardes, probably also helped convince them that a terrific restaurant can open anywhere and that people will come. Meanwhile, they are now open for dinner and will be open for lunch next week. Click here for theirmenu and photos of the restaurant. They are located on the Corner of 5th Street and 5th Avenue in the trendy Park Slope section of Brooklyn. Their phone number is 718-832-9777 and you can click here for their Facebook page.